My 2018 Climbing up the Neck of America Tour! 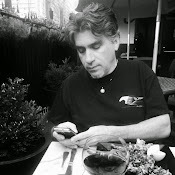 With my western poetry trip (which Dianne and I called our Stabbing into the Heart of America tour) and the Kleft Crisis festival and the Haiku Society of America's Spring Meeting behind me, I am preparing to head northeast for what I am now calling my Climbing up the Neck of America tour. But it begins this week in Cleveland. Incite: A Poetic Conversation: Dianne Borensik + John Burroughs. RA Washington discusses poetry, small presses and more with Borsenik and Burroughs at Guide to Kulchur Books, 5222 Lorain Avenue, 44102. Broadsides & Ephemera w/ John Burroughs at Loganberry Books, 13015 Larchmere Boulevard, 44120. Includes open mic, hosted by Paul Ryland. 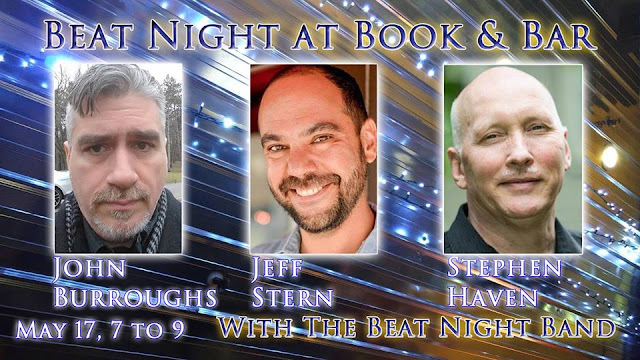 Beat Night featuring John Burroughs, Jeff Stern and Stephen Haven at the Portsmouth Book and Bar, 40 Pleasant Street, 03801. Sol’s Path Launch featuring Leslie McGrath, Terry Blackhawk and John Burroughs, hosted by Meg Harris at the Sol’s Path Writing Center, 1785 Middletown Avenue, 06472. Loss and Foundering By John Burroughs at Longfellow Books, 1 Monument Way, 04101. Stephen Haven, Gloria Mindock, and John Burroughs at Arts at the Armory, Červená Barva Press Studio, Basement, B8, 191 Highland Avenue, 02143. Write! hosted by Siwsan Gimprich at La Fontana, 95 S. Broadway, 10960. Write! hosted by River River at the Carson McCullers House, 131 S. Broadway, 10960. 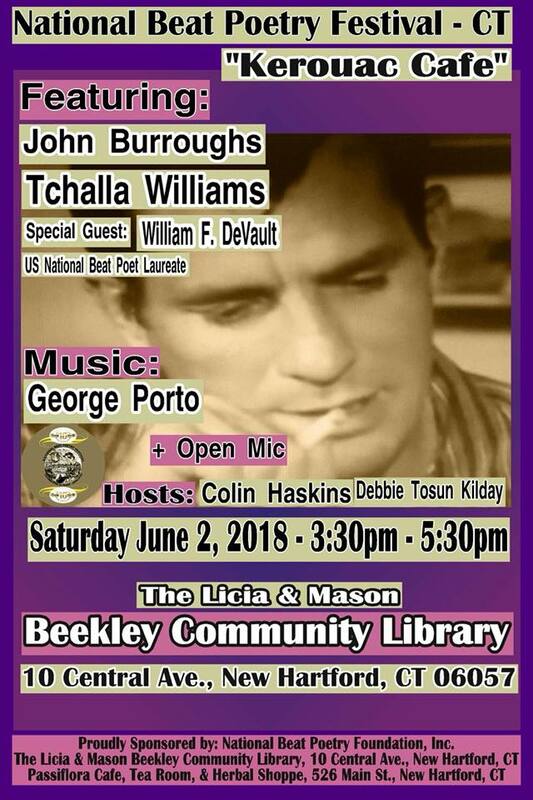 National Beat Poetry Festival featuring John Burroughs, Tchalla Williams, special guest William DeVault and musical guest George Porto, plus open mic at The The Licia & Mason Beekley Community Library, 10 Central Avenue, 06057. John Burroughs and others will perform during the Bean Runner Open Mic presented by The Artist Collective at the BeanRunner Café, 201 S. Division Street, 10566. Poets Storm Nietzsche’s featuring John Burroughs, Dianne Borsenik, Julio Montalvo Valentin and Jennifer Skelton at Nietzsche’s, 248 Allen Street, 14201. And stay tuned for more. To see my full, ever-evolving 2018 poetry event schedule, please click here.